Greylock Gallery specializes in showcasing a variety of traditional and contemporary art from both emerging and established artists. Greylock Gallery is located in the picturesque town of Williamstown, nestled in the foothills of Berkshire County. The Berkshires region is noted as a center for visual and performing arts and other cultural resources and events. Rachele Dario is a native Berkshires resident who returned to settle after many years living across the United States and in Italy. 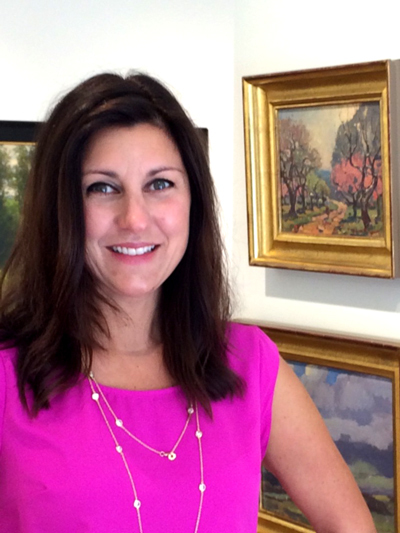 Her love of art has been cultured through various life experiences, including her recent position as gallery manager with the former Harrison Gallery. Thrilled with the opportunity to continue to represent talented, established and emerging artists at Greylock Gallery, she looks forward to sharing her passion for art and helping you find that piece that resonates with you personally to add to your new or existing collection. Life is our experiences – art is our home.